The hit rate is astounding. Students watch the film Dream Big: Engineering Our World and, in nearly every case, come away excited and motivated about STEM subjects. Take the kids down in Rio Grande Valley, TX, as the latest example. The Rio Grande Valley FIRST robotics team competed in the world championships last month in Houston, and got to see Dream Big as part of the festivities. You can probably guess their reaction. “They have not left me alone about the movie since viewing it,” said Jason Arms, FIRST Rio Grande Valley CEO. Taking the hint, Arms worked to set up Dream Big screenings back home in Rio Grande Valley this month – even one in a football stadium, so that even more students can be inspired by the Dream Big experience. The Rio Grande Valley story is exactly what ASCE had in mind when it worked with MacGillivray Freeman Films to produce Dream Big, and it’s why the Society launched a goal for 2018 to put Dream Big educational toolkits in every U.S. public school. 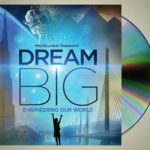 ASCE members can give $5 to place a Dream Big educational toolkit in the school of their choice, through a recently launched website. The campaign is off to a great start, with generous contributions from ASCE members, Sections, Branches, and Younger Member Groups, and engineering companies, pushing the total schools covered to 45 percent of the goal. The Alaska, Hawaii, Louisiana, and Maine Sections have each committed to place the film in every school in their respective states. As remarkable as that is, more than half of U.S. public schools still need Dream Big toolkit commitments. ASCE will be taking preorders through July 31. • There is still time to submit an order or a pledge from your Section, Branch, or Region to help cover more schools. Search the website at EngineersDreamBig.org to find the schools in your area and contribute online. 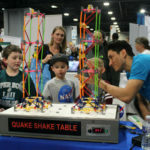 • Individual members can also contribute to the school of their choice via the EngineersDreamBig.org website. The $5 price (including shipping) is good for preorders only. After the bulk order is placed Aug. 1, the price of educational DVDs rises to $19.99 plus shipping. 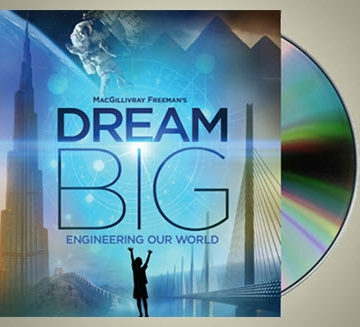 Dream Big is presented by Bechtel and produced by MacGillivray Freeman Films in partnership with ASCE. Keep up with the latest Dream Big developments at the film’s official website. 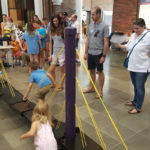 Is there any way I could get a copy of this to show to summer youth students who come to Michigan Tech to learn about civil engineering?